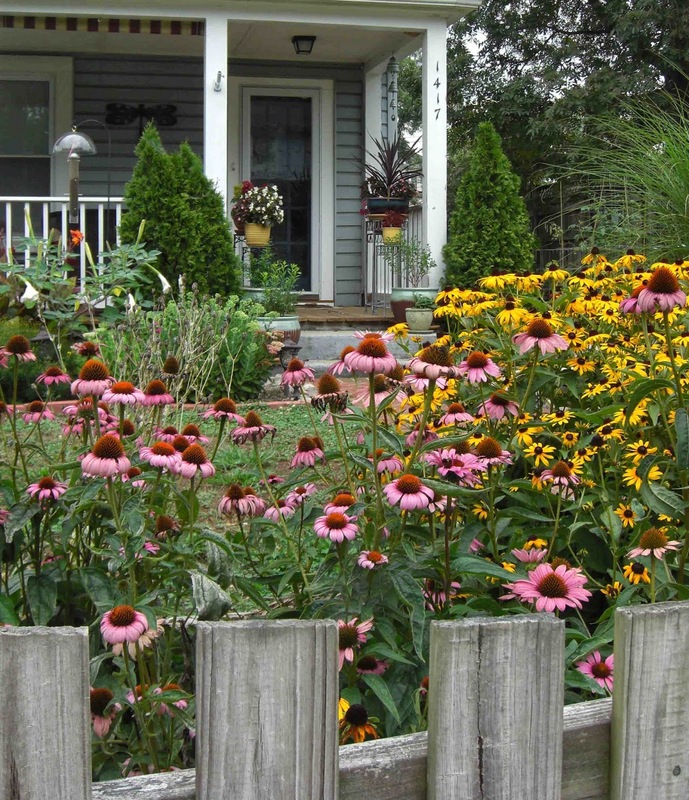 The residents of this home have transformed their yard into a space that is a delight to bees, birds and neighbors walking by. Native plants mingle with old-fashioned favorites. Right now, the coneflowers and black eyed susans peek over the fence, enticing me to stop and enjoy the mix of colors and textures. This is a garden that really does make a house seem like a home.